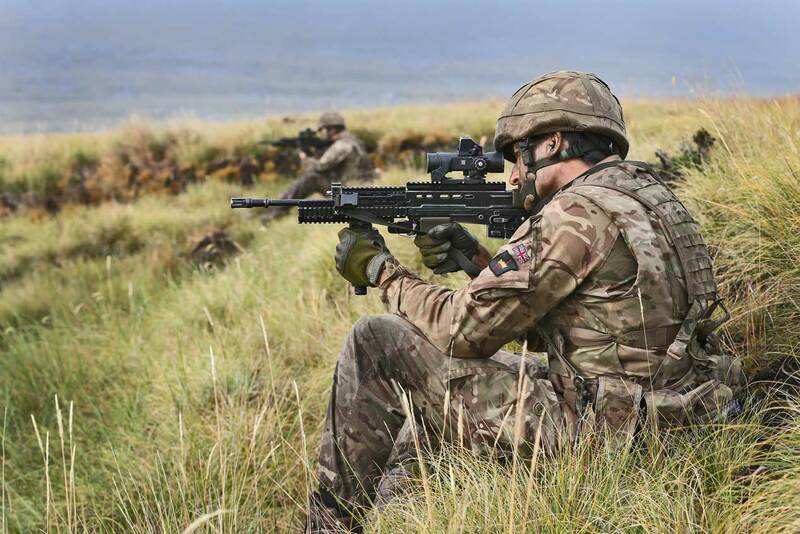 The British Army’s assault rifle is getting a multi-million-pound upgrade. The SA-80 A2 hand-held assault weapon will be upgraded into the lighter A3 model under the Mid-Life Improvement (MLI) project, which will ensure the rifle has the enhancements needed to remain in service until 2025 and beyond. With an initial investment of £5.4 million for the project, the MLI project will see 5,000 weapons upgraded initially with the intent to upgrade more weapons in the future. The fielding of the first tranche began in February. The upgrade will be carried out by Heckler and Koch, will give the Army a lighter, more hardwearing, better-camouflaged combat rifle so soldiers can perform on the frontline in some of the most dangerous locations across the world. Defence Minister Guto Bebb said the investment was a boost for Nottingham’s highly-skilled gun makers and will sustain around 20 highly skilled jobs at the Nottingham Small Arms Factory owned by the company. A more durable hardwearing coating in a “Flat Dark Earth” colour offering better camouflage in a range of environments. The A3 is lighter than the A2 and has a more streamlined fore grip making the weapon easier to handle. The A3 rifle has a bracket to secure new innovative low-light sights which can clip on or in front of the day sight without the need to remove it. These sights are smaller, lighter and require fewer batteries whilst operating just as effectively in low light/night conditions. The SA80 has been used in conflicts from The Troubles in Northern Ireland, to the Iraq and Afghanistan wars. The A2 variant was created in 2002 by Heckler & Koch, which at that time was owned by BAE Systems. What was referred to as the "L85A2 revision,' resulted in what the Ministry of Defence described as "the most reliable weapons of their type in the world," although trials suggested that reliability deteriorated in hot and dry conditions.